British bombers made their second round of strikes on Islamic State targets in Syria late on Friday, again hitting oil fields, British Defence Secretary Michael Fallon said on Saturday. 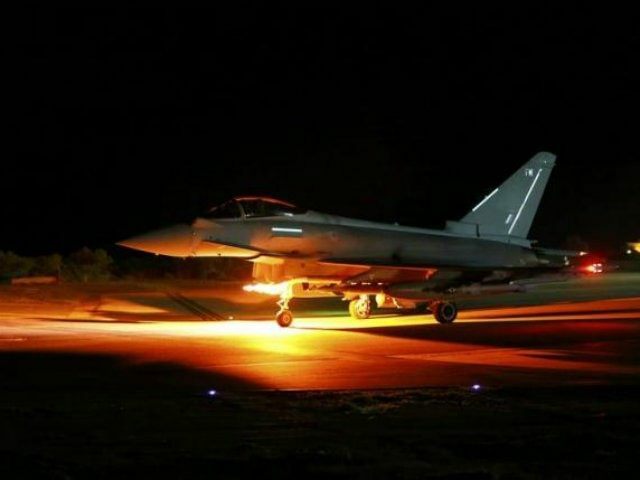 “Last night we saw the Typhoons in action for the first time, successfully hitting an oil field, oil well heads in eastern Syria out in the Omar field,” Fallon told Sky News. British lawmakers approved the bombing of Islamic State targets in Syria on Thursday. Hours after that approval, British bombers struck the oilfields that the government says are being used to fund attacks on the West. The Typhoon fighter bombers had only arrived at Britain’s airbase in Akrotiri, Cyprus on Thursday, bolstering its strike force of Tornado warplanes. Fallon was speaking during a visit to the British airbase in Cyprus.